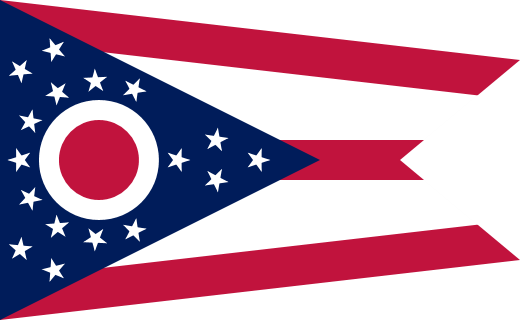 Information on this website is directed ONLY toward U.S. residents within The State of OHIO. Spencer Hawkins Investment Adviser, LLC ("Spencer Hawkins Investment Adviser, LLC") is registered as an investment adviser in the state of OHIO, and whose office is located in OHIO. Spencer Hawkins Investment Adviser, LLC may not transact business in states where it is not appropriately registered, excluded or exempted from registration. Individualized responses to persons that involve either the effecting of transaction in securities, or the rendering of personalized investment advice for compensation, will not be made without registration or exemption. This website is a publication of Spencer Hawkins Investment Adviser, LLC. Information presented is believed to be factual and up-to-date, but we do not guarantee its accuracy, and it should not be regarded as a complete analysis of any subjects discussed. Your professional adviser should be consulted before any investment decisions are made. Information on this website is not an offer to buy or sell or a solicitation of any offer to buy or sell the securities mentioned herein. Investment results discussed are hypothetical and not actual results. Current performance may be higher or lower than performance quoted. Returns are hypothetical returns for the corresponding time periods, do not represent actual trading, and are presented for informational purposes only. Different types of investments involve varying degrees of risk. The investment return and principal value of investment securities will fluctuate based on a variety of factors, including, but not limited to, the type of investment, amount and timing of investments, changing market conditions, currency exchange differences, stability of financial and other markets, and diversification. No assurance can be given that capital market assumptions will prove to be correct, and the difference between assumptions and actual conditions could vary materially. The results may not represent returns that any investor actually attained. Past performance is not indicative of future results. The presentation is not intended to be either an expressed or implied guarantee of actual performance, and we assume no liability for damages resulting or arising out of the use of such information. Any reference to a chart, graph, formula, or software as a source of analysis used by the Spencer Hawkins Investment Adviser, LLC is just one of many factors used to make investment decisions for your portfolio. No single graph, chart, formula, or software can in and of itself be used to determine which securities to buy or sell, when to buy or sell them, or assist any person in making decisions as to which securities to buy or sell or when to buy or sell them. Any chart, graph, formula, or software used is limited by the data entered and the created parameters. Any calculations or information not sourced is prepared by Spencer Hawkins Investment Adviser, LLC. Some links within the Website may lead to other web-sites, including those operated and maintained by third parties. Hyperlinks on this website point are provided as a convenience only, and we disclaim any responsibility for the accuracy of information on any other website linked hereto. This Website and its contents are provided "AS IS" without warranty of any kind, either expressed or implied, including, but not limited to, the implied warranties of merchantability, fitness for a particular purpose, or non-infringement. Reproduction, distribution, republication, and/or retransmission of material contained within this Website is prohibited without prior written permission of Spencer Hawkins Investment Adviser, LLC.